“We’re getting near that beautiful Christmas season that people don’t talk about anymore. They don’t use the word Christmas because it’s not politically correct. So, Is There a War on Christmas? 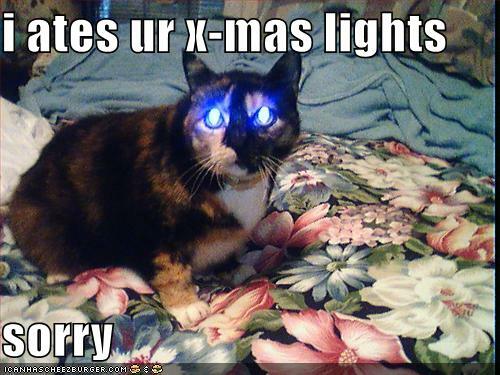 Allow Chairman Meow to educate you on the history of Christmas, and December 25th. For literally thousands of years before Christians claimed ownership of December 25th, it was a Pagan holiday celebrating the birth of the Sun God, Sol Invictus which concluded their annual winter festival of Saturnalia. The date is also significant because it has always marked the winter solstice; the shortest day of the year. 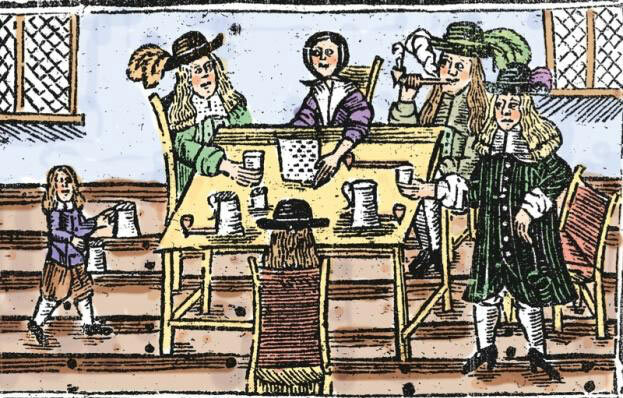 The darkest day of the year was always a popular date for feasts and celebrations, as quite frankly, people needed cheering up. OK, but can’t it just be a coincidence that Jesus was born on the winter solstice? Did you know that the Bible doesn’t mention Christmas or the actual date of Jesus’ birth? (The Bible doesn’t mention cats, either. Hmmm…) This really wasn’t an issue for early Christians, as many of them believed that Jesus was more of a spiritual entity than a man anyway. Giving Jesus a specific birthday was part of a larger effort to depict him as a normal, “humble” man, which made him easier for people to relate to. 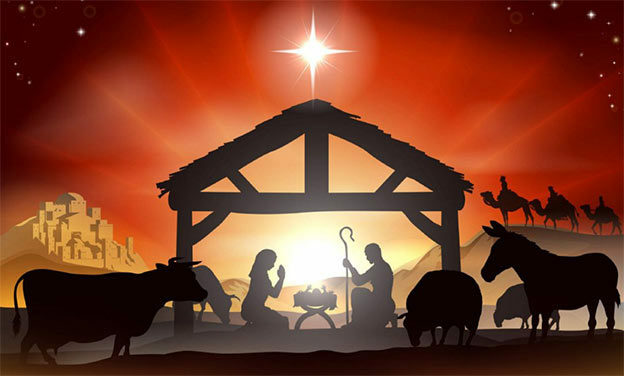 In fact, there’s no record of Early Christians recognizing Jesus’ birthday on December 25th until 354 A.D. By then, a lot of time had passed, especially considering that during this period of early history few records were kept or survived. That would be like celebrating the signing of the Declaration of Independence on July 4th for the first time in the year 2163! 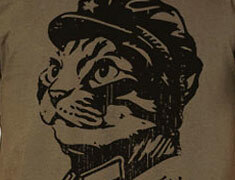 *When Chairman Meow was born, a double-rainbow appeared in the sky, but who’s keeping track? Anyway, In Bethlehem, December is quite cold, and to this day flocks of sheep and cattle in that region aren’t out in the fields. In fact, livestock are traditionally brought in from the fields in the beginning of November. If there were animals out in the fields, it wouldn’t have been December. According to this and other clues in the Bible, Jesus probably would have been born in September. When Constantine became emperor in 323 A.D. his chief concern was unifying and stabilizing the Roman Empire. The problem was that at that time there was not yet a unifying religion. 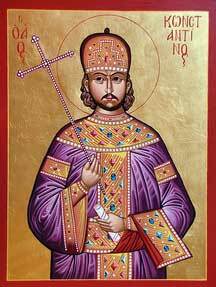 For political reasons, Constantine decided to promote Christianity as this unifying religion, and in doing so he needed the support of the people, who were largely Pagan. If Constantine was going to get support for Christianity throughout the empire, he was going to have to finesse it a little to appeal to Pagans. In England, Christmas was like a “scary Mardi Gras” for a long time In fact, mobs would bang on rich people’s doors and demand to be served the best food and drink that they had. The Puritans Banned Christmas, but Immigrants Brought It Back! 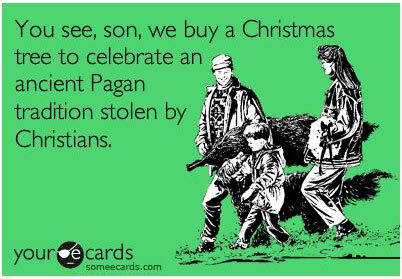 When the Puritans came to New England, they decided that Christmas had no place in a Christian nation, and banned it. Celebrating Christmas was actually illegal in many places in early America, and getting caught exhibiting Christmas spirit could result in paying a fine. Christmas continued to be unpopular in America until the 19th Century, when immigrants flooded into the country, bringing with them their own Christmas traditions. So, it was immigrants that shaped our modern, American Christmas celebration, but somehow we treat Christmas like it’s always been a sacred Christian holiday. Oh, the irony! 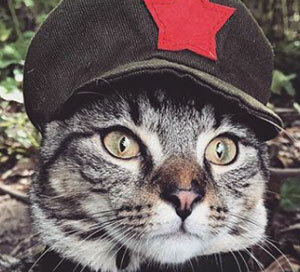 Chairman Meow respects people of all faiths, and wishes that no one claim a monopoly on the truth, or on December 25th for that matter. People have been celebrating the winter solstice for thousands of years, and the most important thing is that it brings people of all beliefs together in love and friendship. The next time someone tells asks you to keep the Christ in CHRISTmas, you can politely wish them a “Merry Solstice,” and remind them that the war on December 25th started a long time before Jesus was born! December 25th: Oh, It’s All Good! So, Virginia, why does Chairman Meow care when Jesus was born, anyway? Good question. The date of Jesus’ birth (or whether he was married) is essentially trivial and shouldn’t affect the content of his message which is to love and respect others. Many people obsess on the form, (the words of men) and never understand the actual content. To them religion is merely a vocabulary to impose their world view onto others. Must see: The Daily Show: War on Christmas – Hliarious! This entry was posted in ask chairman meow, chairman meow wisdom and tagged christmas, history, pagan, saturnalia on November 24, 2016 by admin.